The Second Dalai lama Gyalwa Gedun Gyamtso was born into an illustrious family of spiritual adepts in the Yolkar region of Tsang in the year 1538. It is said that when he could barely speak, he told his parents his name was Pema Dorje, the birth name of his predecessor Gendun Drup (1391–1474) and that his father was Lobsang Drakpa, referring to Je Tsongkhapa’s, the founder of the Gelugpa school. He then told his parents he belonged in Tashilhunpo monastery in Shigatse, the monastery founded by Gendun Drup, and wished to go there to be with his monks. The tradition of recognizing reincarnated lamas did not yet exist in the Gelukpa tradition, though there were many signs and rumors that Gendun Gyamtso was the reincarnation of Gedun Drup. 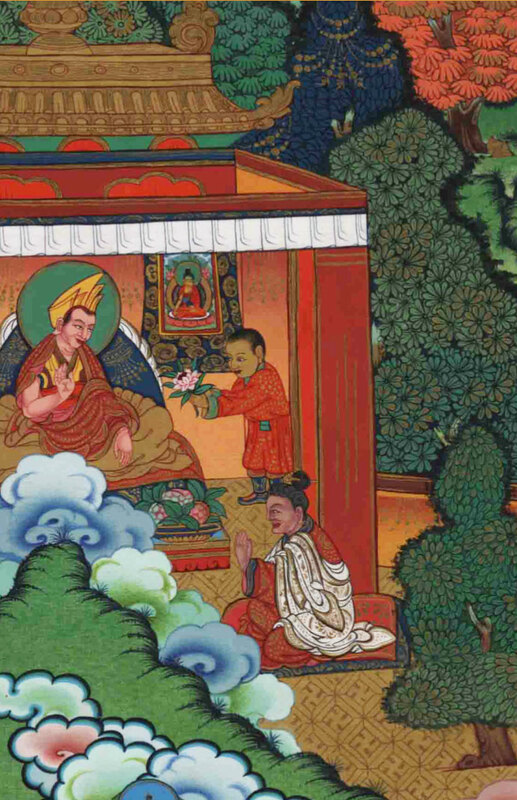 Gradually, as his fame as a great scholar and religious adept spread, Gend- un Gyamtso began to be accepted as the reincarnation of Tashilhunpo’s first abbot. He received his novice vows from Panchen Lungrig Gyatso in 1486, at the age of ten, and his ordination name of Gedun Gyatso. He remained at Tashilhunpo until the age of sixteen and then went to study at Drepung Monastery in Lhasa. 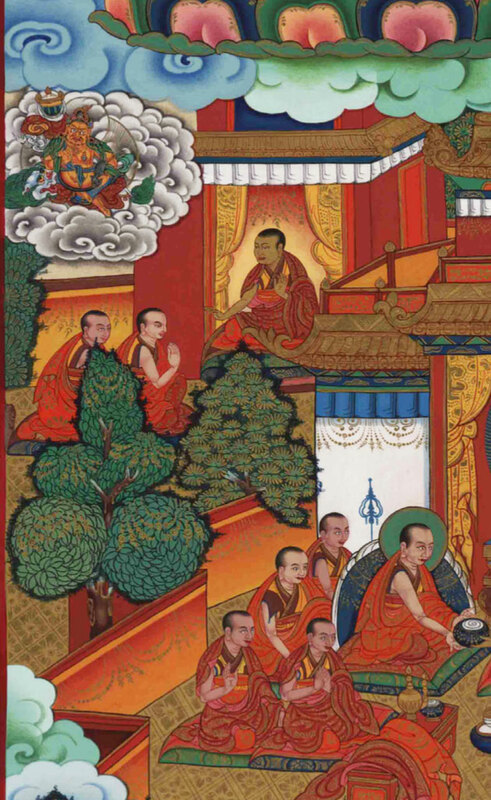 There, he became known for his great composition of mystical verses and became the abbot of Drepung Monastery. Before joining Tashilhunpo, Gendun Gyamtso had studied Nyigma tantric doctrines with his father, a renowned Nyigma master. All through his life, he continued to study and practice Nyigmapa tantric doctrines. 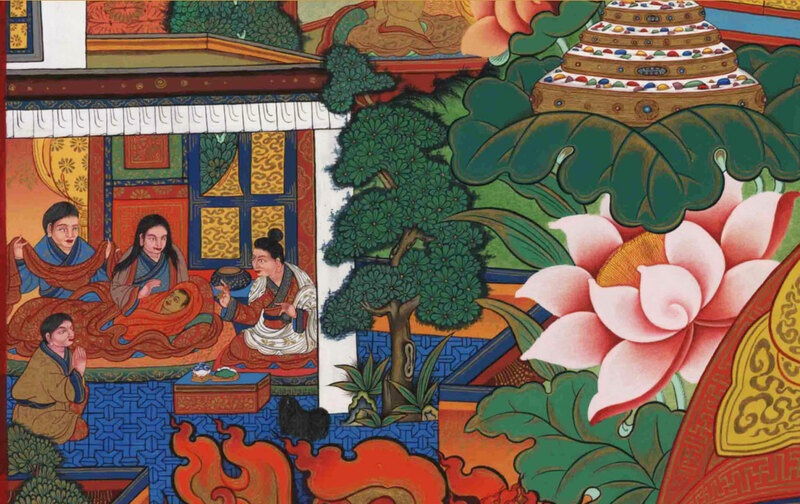 It is said that Palden Lhamo, the female protector deity of the sacred lake, Lhamo La-tso, had promised his predecessor Gendun Drup in one of his visions that she would protect the reincarnation of his lineage, which was later to become that of the Dalai Lamas. Gendun Gyatso, the second in the lineage initiated the practice of seeking guidance when choosing the next reincarnation through visions in the lake. He also established the Chokhor Gye monastery, which became a great center of Gelukpa trantric practice. Gedun Gyatso became abbot of Tashilhunpo in 1512 at the age of thirty-six. 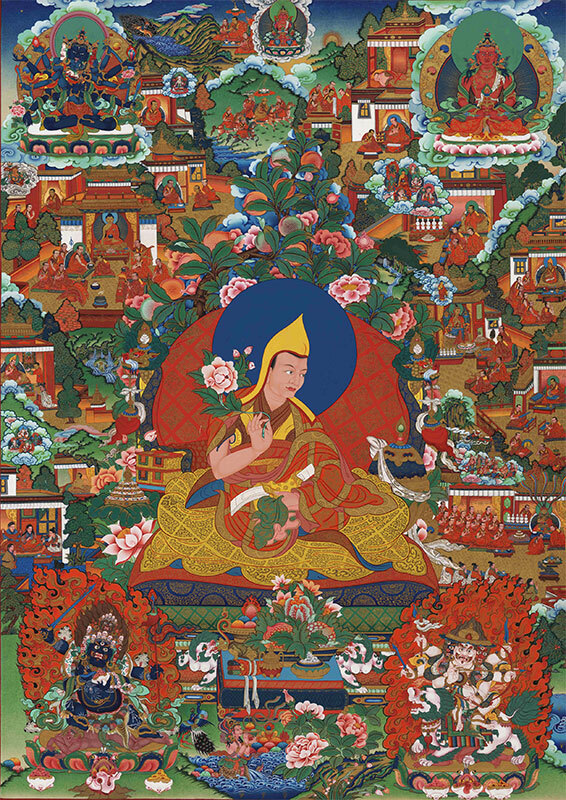 In 1517 he became abbot of Drepung monastery and he revived the Great Prayer Festival or Monlam Chenmo, established by his previous incarnation’s teacher, Je Tsongkhapa. He presided over the celebration with monks from the three great Gelugpa monastic Universities of Sera, Drepung and Ganden, founded by Je Tsong Khapa in 1409). In 1525, he became abbot of Sera monastery, founded in 1419 by Jamchen Chojey, a disciple of Tsong Khapa. Gedun Gyatso passed away in 1542 at the age of 67. The era of the second Dalai lama was marked by the great expansion of the central Tibetan monasteries, in particular Sera monastery, as well as the rise of numerous new monasteries and centers of learning in Central Tibet. Gendun Gyatso played a leading role as the single most famous and authoritative teacher in the area, marked by his unprecedented role as the abbot of two of its greatest monasteries. He was also one of the greatest builders of his times, having built numerous smaller monasteries. His reinstating of the Great Prayer Festival as a yearly event also wielded great influence. Gendun Gyatso was remembered as outspoken and assertive, in marked contrast to his predecessor who embodied a humbler demeanor. Despite his directness in regard to his attainments, Gendun Gyatso did not waver from the ideal of the Gelukpa monk: Scholarly and dialectically endowed, strict in his discipline in regard to his monk vows, a teacher of illustrious disciples, and a composer of authoritative texts. Gendun Gyamtso visits the monastery of his predecessors and pays homage to its great teachers. Gendun Gyatso receives teachings from the many esteemed teachers of Narthang monastery. Three Limited Editions Sets of reproductions will be available to the public, all accompanied by a Numbered Certificate of Authenticity.